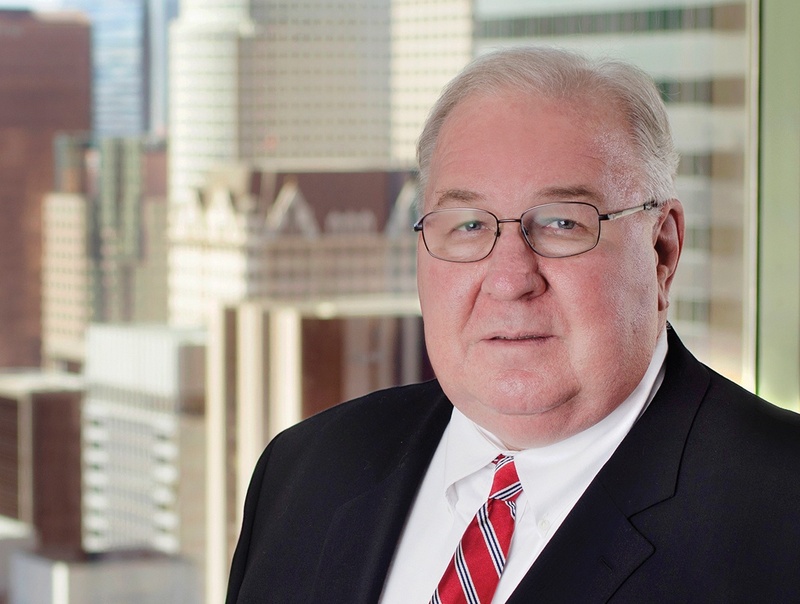 Mr. Thorson has over 40 years of experience in municipal law representing a diverse group of clients throughout California and assisting those clients in managing complex municipal issues. Mr. Thorson is the Chair of the firm's Public Law Department where he manages the attorneys assigned to the Department and the administrative functions of the Department. Mr. Thorson currently serves as City Attorney for the Cities of Temecula and Jurupa Valley. Mr. Thorson also served as the City Attorney for the Cities of Azusa, Downey, and Mission Viejo, and as Assistant City Attorney for the Cities of Alhambra and Camarillo. Mr. Thorson has over 40 years of experience in municipal law. As an experienced City Attorney he is exceptionally well skilled in the management of the complex legal affairs of cities and coordinating the multi-disciplinary teams of attorneys necessary to effectively and efficiently protect the interests of the city and accomplish its goals. Mr. Thorson is an expert in municipal governance, including Brown Act, Political Reform Act, and Public Records Act. Mr. Thorson has extensive expertise in the entitlement process for large complex planned developments. His land development work includes the preparation of development agreements, specific plans, CEQA documents, development fee ordinances, and infrastructure financing, as well as litigation involving land use projects. In addition to his experience as a City Attorney, Mr. Thorson also has extensive litigation experience in civil rights, land use, police practices, public works, and personal injury cases. He has argued numerous cases in the courts of appeal and a First Amendment case before the California Supreme Court. In 2000-2002 and again in 2009-10, Mr. Thorson served on the Legal Advocacy Committee of the League of California Cities. In 2000-2002 and again in 2010-2011, Mr. Thorson served on the Editorial Board of the Municipal Law Handbook. In 2004, Mr. Thorson served as President of the Orange County City Attorney’s Association, and for the previous two years on its Executive Board. In 1991-92, Mr. Thorson served as Chair of the Governmental Law Section of the Los Angeles County Bar Association and served for several years prior to that on the Section's Executive Board. Duffy v. City of Arcadia. Court of Appeal, Second District, Division 2, California. March 31, 1987 195 Cal.App.3d 308 243 Cal.Rptr. 87; Plaintiff’s Appeal dismissed, United States Supreme Court, February 29, 1988, 485 U.S. 901, 108 S.Ct. 1069, 99 L.Ed.2d 229. Court upheld City’s news rack ordinance against constitutional challenge. Spiritual Psychic Science Church v. City of Azusa. Supreme Court of California. August 15, 1985 39 Cal.3d 501 703 P.2d 1119. Supreme Court invalidated City’s prohibition on fortunetelling. Western Employers Ins. Co. v. Arciero & Sons, Inc. Court of Appeal, Second District, Division 7, California. September 12, 1983 146 Cal.App.3d 1027 194 Cal.Rptr. 688. Court interpreted insurance agreement coverage provisions. City of Camarillo v. Spadys Disposal Service. Court of Appeal, Second District, Division 6, California. June 23, 1983 144 Cal.App.3d 1027 193 Cal.Rptr. 22. Court upheld City’s limitation on solid waste collection franchises against anti-trust challenge. City of Alhambra v. Superior Court. Court of Appeal, Second District, Division 5, California. September 23, 1980 110 Cal.App.3d 513 168 Cal.Rptr. 49. Court upheld objections to interrogatories to police officers based on psychotherapist-patient privilege. Kern County Water Agency v. Board of Supervisors. Court of Appeal, Second District, Division 4, California. September 13, 1979 96 Cal.App.3d 874 158 Cal.Rptr. 430. Court upheld property tax security provision in State Water Contracts against Proposition 13 challenge. In 2000-2002 and again in 2010-2011, Mr. Thorson served on the Editorial Board of the Municipal Law Handbook. In 2004, Mr. Thorson served as President of the Orange County City Attorney’s Association, and for the previous two years on its Executive Board. In 1991-92, Mr. Thorson served as Chair of the Governmental Law Section of the Los Angeles County Bar Association and served for several years prior to that on the Section's Executive Board.